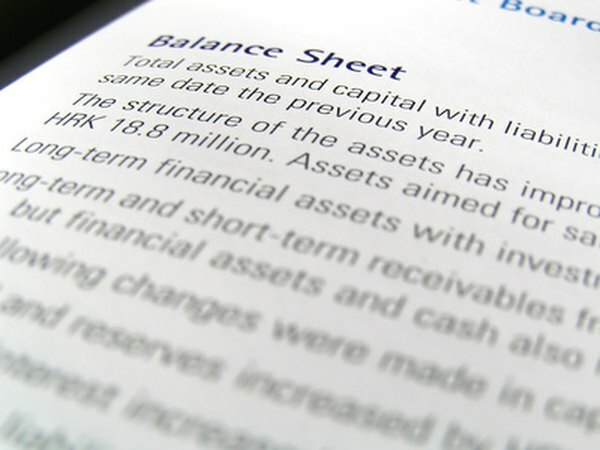 The balance sheet is a company's net worth statement. You can find the total number of shares in the shareholders' equity section of a company's balance sheet, which also summarizes the assets and liabilities. The numbers of authorized, issued and outstanding common shares are listed in this section, along with the number of preferred shares. Companies with multiple classes of shares and voting rights may list them in the notes accompanying the financial statements. You can find these statements in the investor relations section of corporate websites. The shareholders' equity section of a company's balance sheet notes its total number of shares. But because a balance sheet is a snapshot of a company's financials at a particular moment in time, and because the number of shares often makes frequent changes, you'll have to check back regularly if you want up-to-date share counts. Locate the line titled "preferred stock" in the shareholders' equity section of the balance sheet. This line will indicate the number of authorized and issued preferred shares, along with the par and paid-in capital amounts. The par value is the stated or nominal value of each share and the paid-in capital is the amount in excess of the par value received when issuing the shares. Locate the line titled "common stock" in the shareholders' equity section. The number of outstanding shares is always less than or equal to the number of issued and authorized shares. The number of issued shares refers to the shares a company has issued to-date out of the maximum number of shares authorized by its board. Locate the line titled "treasury stock" in the shareholders' equity section. This account records the number and value of shares a company has repurchased with the intentions of reissuing them later. The number of treasury shares is equal to the difference between the number of issued and outstanding shares. However, if it retires the shares after repurchasing them, the company would reduce the number of issued shares. For example, if the company has issued 1 million shares, then repurchases and retires 100,000 shares, the new number of issued shares would be 900,000. When companies repurchase shares, the number of outstanding shares decrease. Companies do this to increase their earnings per share, as the same amount of earnings is spread out over a smaller number of shares, resulting in earnings-per-share "growth." Stock splits increase the number of issued and outstanding shares on a company's balance sheet. For example, a 2-for-1 stock split would double the number, while a 3-for-2 stock split would increase it by 50 percent. The company may have to increase the number of authorized shares after a stock split. A reverse stock split would decrease the number of issued and outstanding shares. For example, a 1-for-10 reverse stock split would reduce the number by 90 percent. Does Stock Value Equal Equity?